It's been a while since I last wore my ultra flared jeans and I honestly forgot how much I love them. I've been living in comfortable basics, so I decided to wear my oversized boat neck sweater that I seem to be wearing with everything lately. On a separate note, how is it that we're in March already? Happy Monday! Oh God. U used to use those kind of pants! Being pear-shaped, I'm not sure I could pull these off, but they look amazing on you! 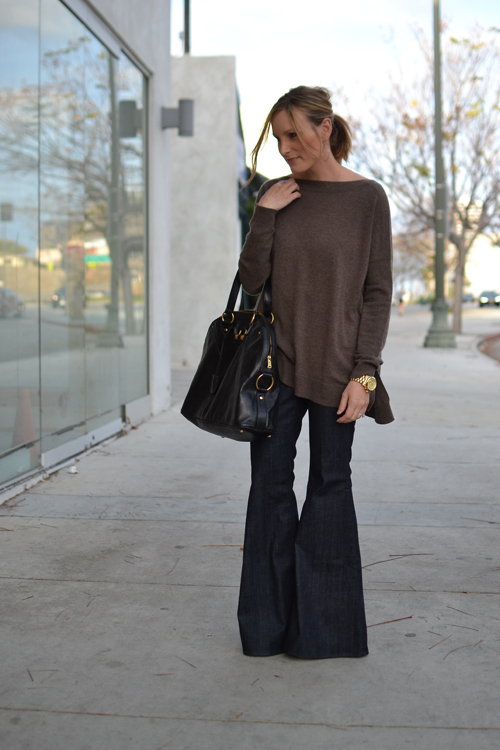 LOVE these jeans, Audrey! 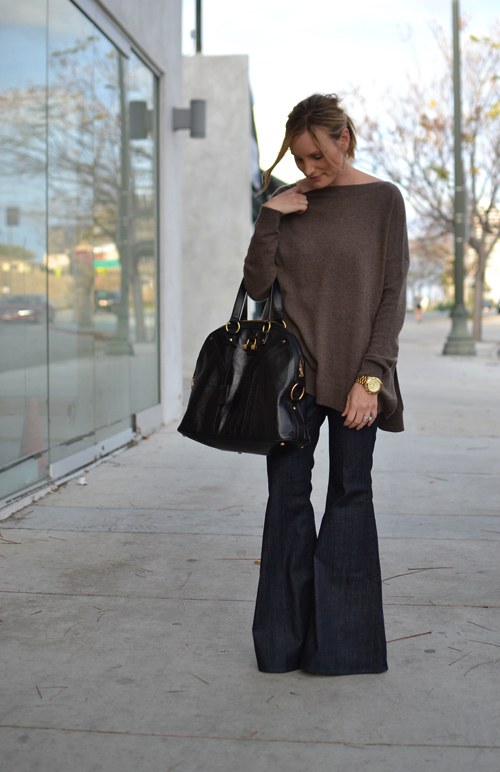 I'm such a fan of an extreme flare or bell-bottom! I could never pull these off, but they look amazing on you! Beautiful purse! You look great! Have a great day! Hello! I just discovered your blog, and am really enjoying it! The title describes the kind of style I think I'm trying to go for...I've gotten a little more casual over the last couple of years, but I still want to keep up some of that LA glamour. I love how you're bringing it all together. Ultra chic flared jeans Audrey....yes cant believe its March too!! I wish I could do oversized so well! It's a look I LOVE but is unfortunately not suited to my body type. You look chic and comfy! wow I could never pull these off, but you look amazing! I absolutely adore the ultra flare leg on you! Fab!